Now Explore & Buy Diapers, Clothing, Baby Care, Toys & More At Firstcry and Make Your Payment With PayPal To Avail Flat 20% Cashback On Your Order Only At Firstcry. Minimum Purchase Of Rs.50 Required. Maximum Cashback Of Rs.250 Can Be Availed On Your First Transaction Done With PayPal At Firstcry. 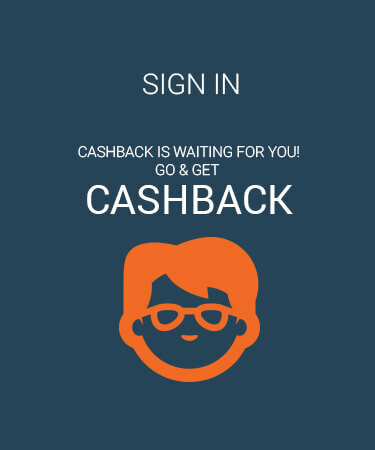 Cashback Voucher Will Be Credited To PayPal Account Within 24 Hours. No Coupon Code Required. Visit The Landing Page To Shop & Avail The Offer. FirstCry presenting Upto 80% off on Baby and kids products. Various branded products like Babyhug, Toffyhouse, Mothercare, Disney on sale. This Offer is valid for all customers. To visit landing page click on Get Offer. Enjoy the Offer before expiry! Use this Offer and get Get 55% off on Diapers from FirstCry. Products from all leading brands like Pampers, Huggies, Mamypoko, Johnson, Babyhug, Chicco, Palmers, Softsens are on offer. This Offer is usable for all customers. To visit landing page click on Get Offer. Hurry! Enjoy this coupon soon, as it expires on 16 Jun 2017. FirstCry offers Rs. 450 OFF on Your Purchase. Applicable for all users. Minimum order value Rs. 1500 to redeem the Coupon. Offer applicable on products listed on landing page. Click on Get Code to and apply at checkout to redeem the Coupon. Enjoy the Coupon before expiry! Avail Get 20% Off + Extra 3% cash back on Baby products. This Offer valid on payment through Mobikwik Wallet. A user can encash maximum Rs. 100 cashback. This Offer is valid for all customers. This Offer is not valid on Combos, Formula & Supplements, Bottles & Accessories, Super Savers & Gift Packs and Brands Charlie Banana, Flamingo, Foscam, Kadam Baby, MadRat, Melissa & Doug, Motorola, Pinehill, Speedo, Tupperware,. Offer can be availed once per user Offer valid till 16 Jun 2017. Get Flat 20% off on Your Purchase. Make payment using Axis Bank at payment gateway to avail the benefit of the Coupon. Maximum discount capped to Rs. 1000 per transaction. This Coupon is valid for all users. Coupon is valid for all except Super Savers, Combos, Formula and Supplements, Bottles & Accessories, Gifts & Certificates. Coupon valid till 09 May 2017. Redeem this Coupon and get Flat Rs. 200 OFF on Your Purchase from FirstCry. Minimum order amount should be Rs. 999. This Coupon can't be used on Combos, Bottles & Accessories and Formula & supplements and brands Bata,Beatrix,Bodycare,Charlie Banana,Elefantastik,Fisher Price,Funskool,Graco,Kadam Baby,Learning Journey,Lego,Leap Frog,Liberty,Luva. This Coupon is applicable for all customers. Offer applicable on products listed on landing page. Click on Get Code to unlock coupon and visit merchant. Hurry! Grab this coupon soon, as it expires on 16 Jun 2017. Use this Offer and get Flat 29% OFF on Pampers Diapers from FirstCry. This Offer is usable for all customers. To visit landing page click on Get Offer. Hurry! Grab this coupon soon, as it expires on 30 Jun 2017. FirstCry presenting Upto 50% OFF + Extra 10% Cashback on All Diapers. 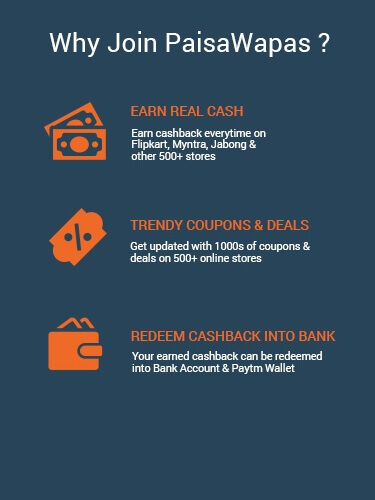 Max cashback Rs. 250 per user. Offer applicable on products listed on landing page. This Coupon is valid for all customers. Click to GET CODE to copy the coupon and apply at cart checkout. Enjoy the Coupon before expiry! FirstCry offers Flat 30% Off on Clothes, Footwear & Fashion. Applicable for all customers. Minimum order value Rs. 750 to redeem the Coupon. Offer applicable on products listed on landing page. Click on Get Code to and apply at checkout to redeem the Coupon. Enjoy the Coupon before expiry! Use this Offer and get Flat 16.7% OFF on Chicco products from FirstCry. This Offer is redeemable for all users. To visit landing page click on Get Offer. Hurry! Grab this coupon soon, as it expires on 30 Jun 2017. Redeem this Offer and get Flat 15% OFF on Mee Mee Diapers from FirstCry. This Offer is usable for all users. To visit landing page click on Get Offer. Hurry! Make most of this coupon soon, as it expires on 30 Jun 2017. Use this Offer and get Flat 16.7% OFF on Softsens Diapers from FirstCry. This Offer is redeemable for all customers. To visit landing page click on Get Offer. Hurry! Grab this offer soon, as it expires on 30 Jun 2017. FirstCry offers Flat 25% Off on Birthday & Gifts. Applicable for all customers. Minimum order value Rs. 750 to redeem the Coupon. Click on Get Code to and apply at checkout to redeem the Coupon. Enjoy the Coupon before expiry! Use this Offer and get Flat 20% OFF on Chicco products from FirstCry. This Offer is applicable for all users. To visit landing page click on Get Offer. Hurry! Make most of this coupon soon, as it expires on 30 Jun 2017. Get Flat 20% OFF on Baby And Kids Products. Make payment using HDFC Bank at checkout to avail the benefit of the Coupon. Maximum discount capped to Rs. 1500 per user. This Coupon is valid for all customers. Coupon is applicable for all except Diapers, Super Savers, Combos, Formula and Supplements, Bottles & Accessories, Gifts & Certificates. Coupon valid till 03 Apr 2017. Use this Offer and get Flat 13.05% OFF on Softsens Diapers from FirstCry. This Offer is redeemable for all users. To visit landing page click on Get Offer. Hurry! Enjoy this offer soon, as it expires on 30 Jun 2017. Use this Offer and get Flat 31% OFF on Pampers Diapers from FirstCry. This Offer is usable for all users. To visit landing page click on Get Offer. Hurry! Enjoy this offer soon, as it expires on 30 Jun 2017. Use this Offer and get Flat 11% OFF on Mee Mee Diapers from FirstCry. This Offer is applicable for all customers. To visit landing page click on Get Offer. Hurry! Grab this offer soon, as it expires on 30 Jun 2017. Use this Offer and get Flat 13% OFF on Mee Mee Diapers from FirstCry. This Offer is applicable for all customers. To visit landing page click on Get Offer. Hurry! Enjoy this coupon soon, as it expires on 30 Jun 2017. FirstCry offers Flat Rs. 300 OFF on Your Purchase. Applicable for all users. Minimum order value Rs. 1399 to redeem the Coupon. This Coupon is valid on all products except Combos, Bottles & Accessories and Formula & supplements and brands Bata,Beatrix,Bodycare,Charlie Banana,Elefantastik,Fisher Price,Funskool,Graco,Kadam Baby,Learning Journey,Lego,Leap Frog,Liberty,Luva. Offer applicable on products listed on landing page. Click on Get Code to and apply at checkout to redeem the Coupon. Enjoy the Coupon before expiry! Get Flat Rs. 500 Off on Your Order. Make payment using Visa Cards at payment gateway to avail the benefit of the Coupon. Coupon applicable on minimum Rs. 1499 and above. This Coupon is valid for all users. Coupon is valid for all except Diapers, Super Savers, Combos, Formula and Supplements, Bottles & Accessories, Gifts & Certificates. Coupon valid till 16 Jun 2017. FirstCry offers Flat 20% Off on Baby Diapers. Applicable for all users. Minimum order value Rs. 750 to redeem the Coupon. Click on Get Code to and apply at checkout to redeem the Coupon. Enjoy the Coupon before expiry! Use this Coupon and get Flat 25% OFF on Your purchase from FirstCry. Minimum cart amount has to be Rs. 999. This Coupon is redeemable for all customers. Click on Get Code to unlock coupon and visit merchant. Hurry! Make most of this coupon soon, as it expires on 31 Aug 2018. Get Flat 15% Off on Baby & kids products. Make payment using Axis Bank at payment gateway to avail the benefit of the Coupon. This Coupon is valid for all users. Coupon is valid for all except with any other coupcode. Coupon valid till 16 Jun 2017. Get Flat Rs 600 off on Your Purchase. Make payment using Axis Bank at payment gateway to avail the benefit of the Coupon. Coupon applicable on minimum Rs. 1599 and above. This Coupon is valid for all customers. Coupon is applicable for all except Combos, Formula & Supplements, Bottles & Accessories, Bottle Cleaning & Sterilization. Coupon valid till 16 Jun 2017. Avail Flat 20% off on Baby products. Make payment using HSBC Bank at payment gateway to avail the benefit of the Coupon. Maximum discount capped to Rs. 500 per user. This Coupon is valid for all users. Coupon valid till 16 Jun 2017. Encash Flat 20% OFF on Baby Products. Make payment using Yes Bank at payment gateway to avail the benefit of the Coupon. Maximum discount capped to Rs. 500 per transaction. This Coupon is valid for all customers. Offer applicable on products listed on landing page. Coupon valid till 16 Jun 2017. Use this Coupon and get Flat 20% Off on Bath, Skin & Health Care Products from FirstCry. This Coupon is redeemable for all users. Offer applicable on products listed on landing page. Click on Get Code to unlock coupon and visit merchant. Hurry! Enjoy this offer soon, as it expires on 21 Mar 2017. FirstCry offers Flat Rs. 250 OFF on Your Purchase. Applicable for all users. Minimum order value Rs. 1200 to redeem the Coupon. This Coupon is applicable on all products except Combos, Bottles & Accessories and Formula & supplements and brands Bata,Beatrix,Bodycare,Charlie Banana,Elefantastik,Fisher Price,Funskool,Graco,Kadam Baby,Learning Journey,Lego,Leap Frog,Liberty,Luva. Click on Get Code to and apply at checkout to redeem the Coupon. Enjoy the Coupon before expiry! FirstCry offers Flat Rs. 134 off on Your Purchase. Applicable for all customers. Minimum order value Rs. 789 to redeem the Coupon. Maximum discount is capped at Rs. 500 per redemption per user. This Coupon is applicable on all products except Combos, Bottles & Accessories and Formula & supplements and brands Bata,Beatrix,Bodycare,Charlie Banana,Elefantastik,Fisher Price,Funskool,Graco,Kadam Baby,Learning Journey,Lego,Leap Frog,Liberty,Luva. Offer applicable on products listed on landing page. Click on Get Code to and apply at checkout to redeem the Coupon. Enjoy the Coupon before expiry! FirstCry offers Rs. 154 OFF on Your Purchase. Applicable for all customers. Minimum order value Rs. 899 to redeem the Coupon. Offer applicable on products listed on landing page. Click on Get Code to and apply at checkout to redeem the Coupon. Enjoy the Coupon before expiry! FirstCry offers Flat 22% Off on Feeding & Nursing Items. Applicable for all users. Minimum order value Rs. 750 to redeem the Coupon. Click on Get Code to and apply at checkout to redeem the Coupon. Enjoy the Coupon before expiry! FirstCry offers Flat 25% Off on Baby Gear Products. Applicable for all customers. Minimum order value Rs. 3000 to redeem the Coupon. Click on Get Code to and apply at checkout to redeem the Coupon. Enjoy the Coupon before expiry! FirstCry offers Flat 25% Off on Maternity Wear & Maternity Lingerie. Applicable for all users. Minimum order value Rs. 750 to redeem the Coupon. Click on Get Code to and apply at checkout to redeem the Coupon. Enjoy the Coupon before expiry! FirstCry offers Flat 25% Off on Books, CDs & School Supplies. Applicable for all users. Minimum order value Rs. 750 to redeem the Coupon. Maximum discount is capped at Rs. 2000 per redemption per user. Click on Get Code to and apply at checkout to redeem the Coupon. Enjoy the Coupon before expiry! Redeem this Offer and get Flat 40% off on School shoes from FirstCry. Products from all leading brands like Action, Liberty, Rex shoes are on offer. This Offer is usable for all users. To visit landing page click on Get Offer. Hurry! Grab this coupon soon, as it expires on 16 Jun 2017. FirstCry presenting Upto 60% off on Ethnic wear. Various branded products like Party Princess, Pikabo, Babyhug, babyoye on sale. Complete the payment by ICICI Pocket Wallet to avail the Upto 60% off. This Offer is valid for all customers. To visit landing page click on Get Offer. Enjoy the Offer before expiry! FirstCry presenting Upto 60% off on Baby Boy clothes. Various branded products like Babyhug, Zero, Tango, Tinycare on sale. Complete the payment by ICICI Pocket Wallet to avail the Upto 60% off. This Offer is valid for all users. To visit landing page click on Get Offer. Enjoy the Offer before expiry! Avail Minimum 35% off on Kids clothing. Offer is applicable on brands like Doraemon, Ollypop, Teddy, Taeko and numerous. This Offer is usable by all customers. Click on Get Offer to check products on offer. Offer valid till 16 Jun 2017. FirstCry presenting Upto 65% off on Booties and sandals. This Offer is valid for all users. To visit landing page click on Get Offer. Enjoy the Offer before expiry! FirstCry extending Upto 25% Off on Baby Diapers. Various branded products like Pampers, Huggies, Mamy Poko, Chicco on sale. Promo code not required to redeem this offer. Offer applicable on products listed on landing page. This Offer is valid for all customers. To visit landing page click on Get Offer. Enjoy the Offer before expiry! Use this Coupon and get Flat 30% Off on Entire Dove Range from FirstCry. Avail maximum discount of Rs. 1000. This Coupon is applicable for all customers. Offer applicable on products listed on landing page. Click on Get Code to unlock coupon and visit merchant. Hurry! Make most of this offer soon, as it expires on 23 Feb 2017. Redeem this Coupon and get Flat 60% Off on Handpicked School Supplies from FirstCry. This Coupon isn't redeemable on with any other coupon. This Coupon is applicable for all customers. A coupon code is applicable only for 1 product per user. Click on Get Code to unlock coupon and visit merchant. Hurry! Grab this offer soon, as it expires on 10 Jun 2017. Redeem this Coupon and get Flat 40% OFF on Entire Huggies Range from FirstCry. Avail maximum discount of Rs. 1000. This Coupon can't be encashed on with any other coupon. This Coupon is usable for all users. Click on Get Code to unlock coupon and visit merchant. Hurry! Enjoy this coupon soon, as it expires on 03 Aug 2018. PaisaWapas offers you the best prices on various products featured on FirstCry, FirstCry The one stop shopping place for all your kids needs, FirstCry has fast emerged as one of the leading e-commerce ventures in Kids and baby products. From Diapers, to cute princess dolls to fast and furious F1-Cars, this shop has it all and that too at discounts of upto 50%. Coupled with cash-back from Paisawaapas.com, what more do you need? Step 2: Click on the offer that you want. This will take you to FirstCry Website. Step 3: Shop normally at FirstCry . Pay as you normally do, including by Cash-on-delivery.